With the addition of a new road bike, the Merida Scultura 5000, there is not much space left to keep the new bike! 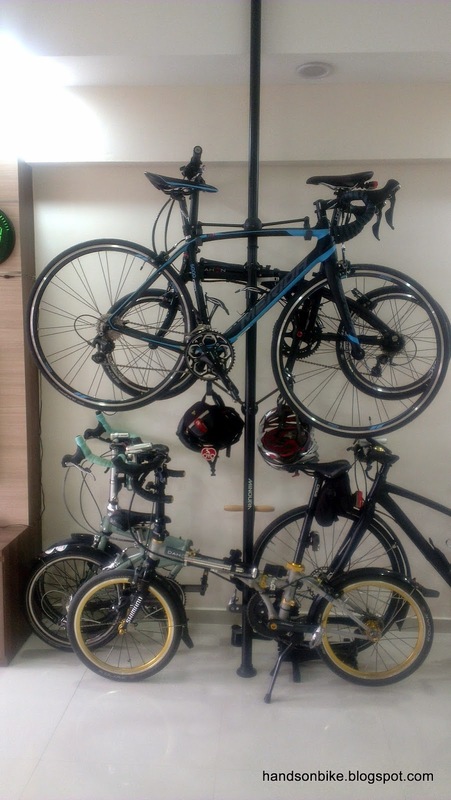 Luckily I had already bought the Minoura Bike Tower 10 previously for all the bikes. However, the bike tower came with only 2 bike cradles, and both of them are already in use. 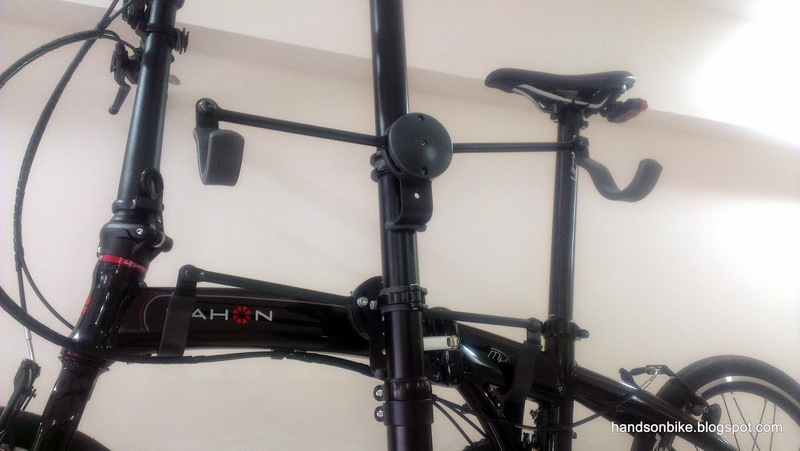 The top cradle is used to hold the Dahon MuEX, while the bottom one is actually used to hold the accessories such as the helmets. 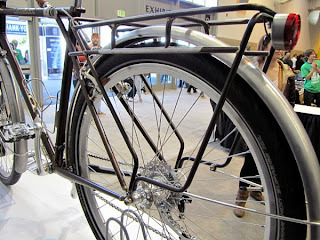 The Minoura Bike Tower 10 is actually able to hold up to 4 bikes using 4 bike cradles. Therefore, I decided to buy an extra bike cradle to hold the new Merida Scultura 5000 road bike. Before I could mount the new bike cradle, I had to move the existing bike cradle from the front to the back. Luckily I had sufficient space on both sides of the bike tower to hold the bikes. New Bike Cradle mounted on the front, ready to accept the additional bike! The new road bike mounted on the front! Faces the opposite direction from the Dahon MuEx at the back, to avoid interference between the handlebars. 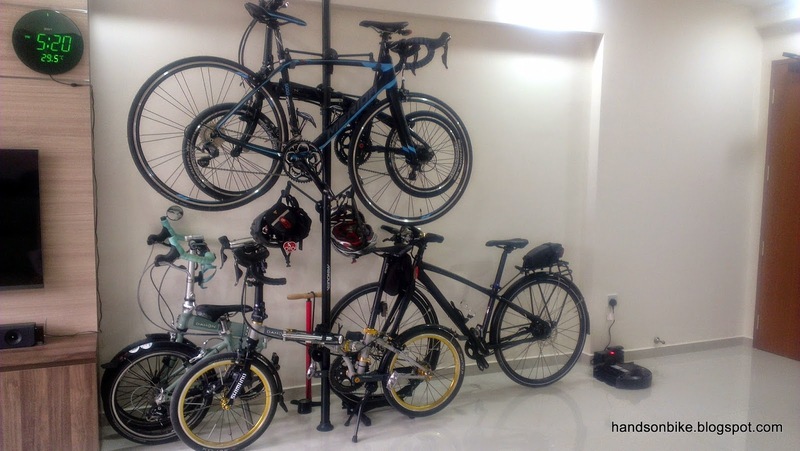 5 bikes stored in the space usually only sufficient for 2 full sized bikes. 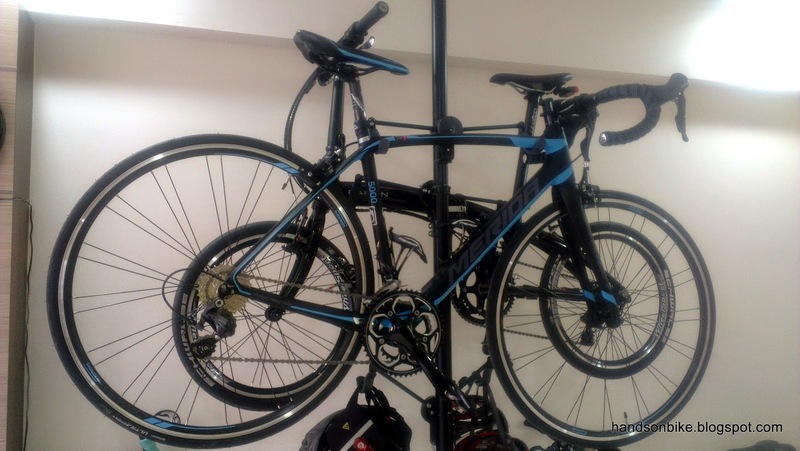 With the additional bike cradle, the bike tower is able to hold an additional bike without taking up any extra space. 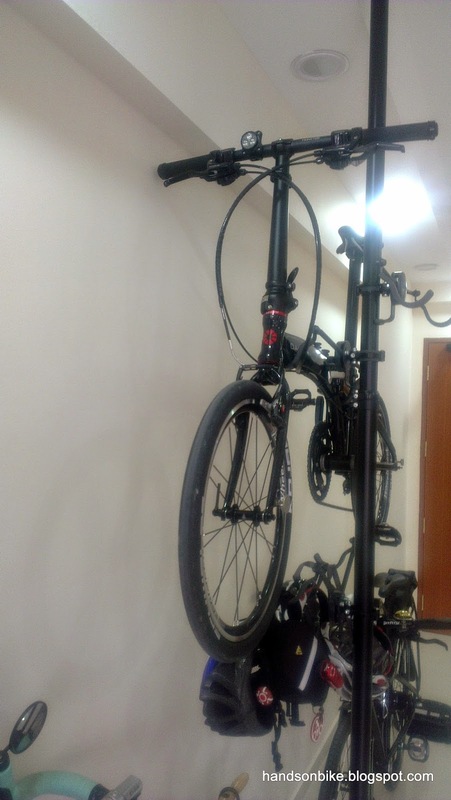 By making use of the previously unused space at the back of the bike tower, it really maximises the use of space around the bike tower. 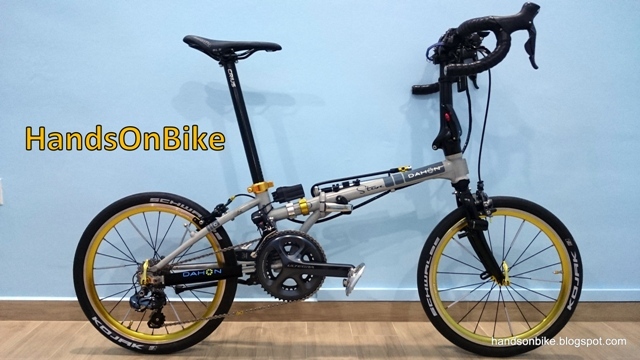 It is more difficult to take down the Dahon MuEX at the back, as I will need to first remove the road bike placed at the front. However, since that bike is used less often, it will be acceptable. 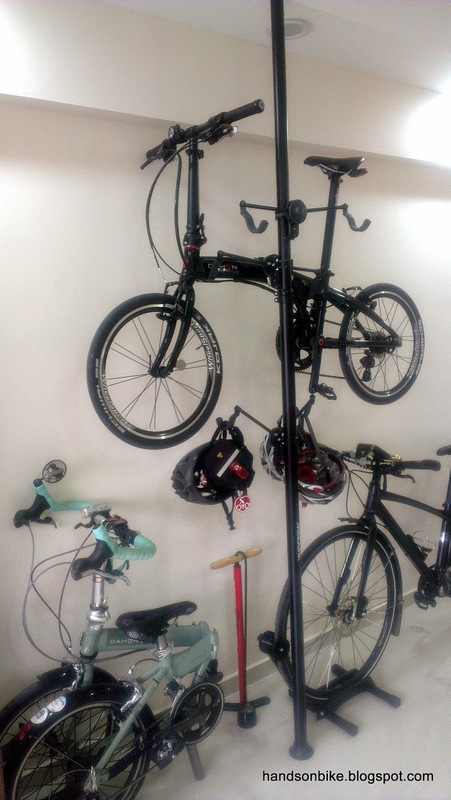 Overall, I am very pleased with the additional bike cradle, as it is really easy to install and allows me to store one more bike without taking up any additional space at all. Hi Steve, im looking for an extra bike cradle and was wondering where you bought yours from. Could you let me know the shop name and price? Just contact The Bike Settlement as they are the official distributor for Minoura. Can't remember the price though, think it was around $30.